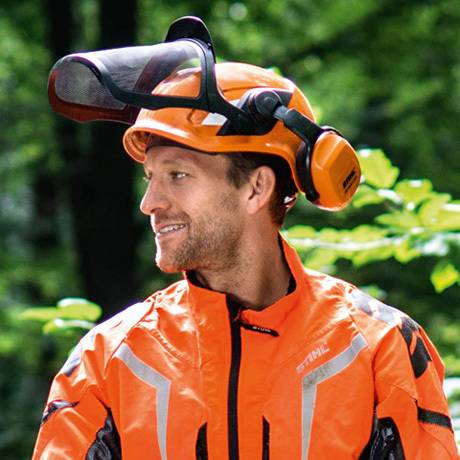 Vented helmet with slim profile ear protectors for comfort and mobility during operation and with the ratchet adjustment headband it’s simple to set-up. 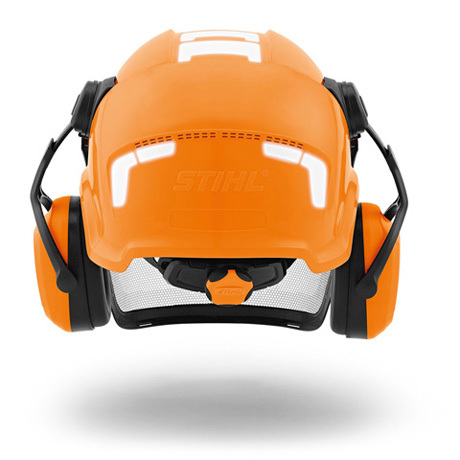 Reflective stickers are visible from all angles to aid safe working. 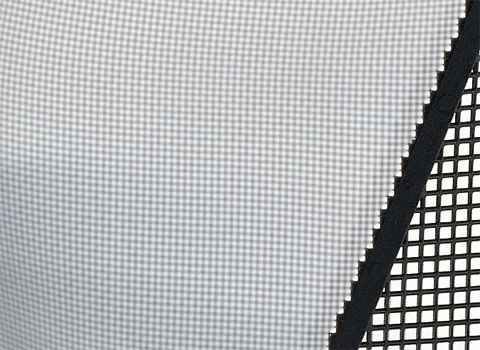 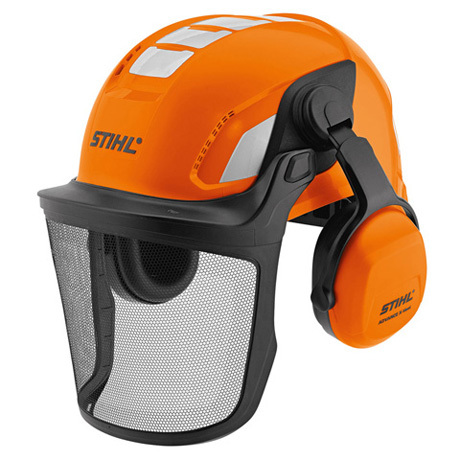 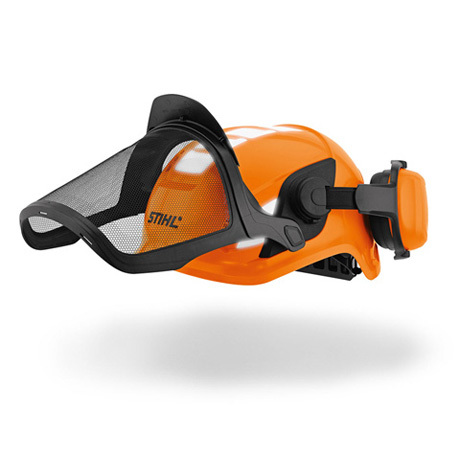 The sturdy spring steel mesh visor allows up to 80% light visibility for a protected and clear view.